Si Vis Pacem, Parabellum. If you want peace, prepare for war. Every one of us that have fired a weapon understands the awesome responsibility that comes with the ability to do so. From the time that we sent our first shot; whether it was for sporting purposes, target shooting or to begin a training regimen, we witnessed the effects of advances in weapon technology. Obviously, the days of swords duels are far, far behind us. The blunderbuss and flintlock have taken their rightful place in the annals of warfare history and advancements to modern weaponry are being implemented at an unprecedented rate. New models with new or recycled features are pouring into the open market. Technology is single-handedly responsible for changing nearly every aspect of how we view, seek, purchase and employ our weapons. 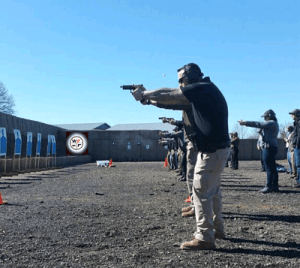 But, one of the most common pitfalls of defensive shooter training is a misplaced emphasis on the weapon. How many of us will sit and watch the market while waiting for a new model from our favorite gun manufacturer to get released? When the magic moment arrives, we complete the NICS form, slide our credit card through the reader and exit the FFL with a gun in hand and a smile on our face. Then, we get to the range and focus on how the new gun “shoots”. What type of drills are we running at that point? Are we even putting in solid training time? 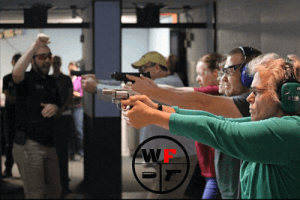 Chances are highly likely that we’re focused on the gun and how it performs rather than how the shooter performs and we miss out on several opportunities. We get home from the range, clean the firearm and put it away with a smile that is suddenly fading. We didn’t shoot any better than we did before. The new gun didn’t miraculously turn us into a better shooter. The trigger didn’t work right, or we didn’t like the sights. Soon we’re thinking about what gun could be better for us. And, within a couple of range sessions, we are back in the market researching tech specs to determine what features are going to give us an “edge”. Then, we spot our next purchase and start saving our money for yet another attempt at a “better” gun. However, a new weapon will not replace the benefit of well-disciplined training on a regular basis. There are very few that appreciate how critical it is to train. You see, by the time an attack is executed a plan has been formed. Whether this plan has been methodically laid down on paper or rapidly developed in the mind of an attacker is irrelevant. The defender is immediately put into a position of disadvantage. How then can the disadvantaged meet the challenge unless they have prepared accordingly? You will never rise to the challenge. You will always fall to the highest level of training. So, it becomes increasingly crucial that we attain, sustain and maintain proficiency with our preferred weapon system. With such an ample supply of firearms at our fingertips, we have to remember that it is our abilities that must be developed. In most cases, it’s the shooter that makes the gun and not the other way around. 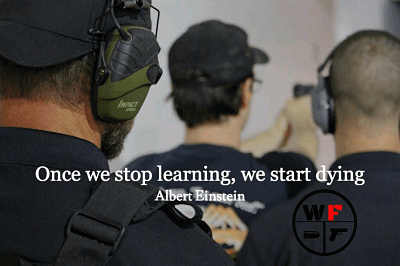 So, what if we spent our money on courses rather than a brand new firearm? What if we used the hardware we already have to develop the skills that we don’t? What if we used our time and money to develop our abilities instead of our collection? If we trained on a monthly basis, we would notice marked improvements where it really matters. What exactly is “well-disciplined training”? Well, there are several courses that teach a multitude of effective drills for honing ability. If we take these drills home and practice them individually, we are exercising self-discipline. When we suppress the desire to shoot for fun and embrace an opportunity to shoot for results, we are exercising self-discipline. Discipline of self prevents regret. Granted, regret cannot be totally eliminated. But, when you consider how much time and money could be saved by effective, monthly training you’ll be moreover pleasantly surprised if you’re forced to fall back on all of your training instead of a brand new weapon and walk away from the attack with very little regret and the rest of your life. Ability is far more important than a collection. Train as if your life depends on it.